Gage Park is one of our state capital’s oldest and largest public green spaces, with more than a million visitors each year. Until recently, it hasn’t had many trails to safely get people from one part to another, whether by foot, wheelchair, or bike. A two-mile trail will loop around the entire park, connecting access points to surrounding bike routes, businesses, and neighborhoods (see map below). • Physical Health — Trails provide low-cost opportunities for residents of all ages, backgrounds, and abilities to be physically active. • Mental Health — Time spent outdoors is linked to lower levels of anxiety, stress, and depression, as well as an increase in well-being. • Cognitive Function — Being physically active in nature settings can improve problem-solving abilities as well as promote sharper thinking and creativity. • Social Behaviors — Community green space encourages positive social interaction and a sense of belonging. 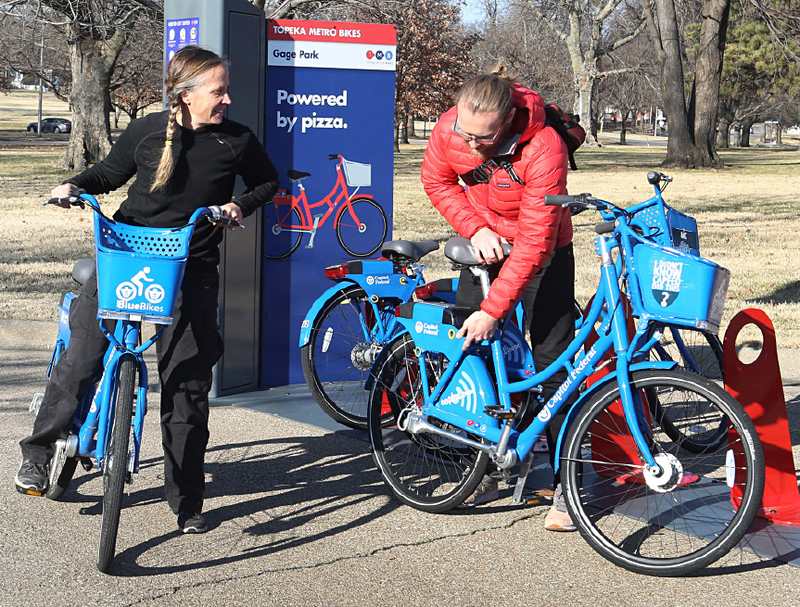 It takes many partners to create safe outdoor spaces to walk, wheel, bike, and play. ...one step at a time. View print-friendly version of this map. visit parks.snco.us or follow Shawnee County Parks + Recreation on Facebook.